I recently happened to visit Amritsar and fell in love with it. The place is just amazing and perfect for every age group. One of the best places I would suggest to everyone is the Gobind Garh Fort. The fort was not a part of our itinerary but since we were looking for a place to hang out, we chose the fort on a local recommendation. We were glad that we picked this place as it is very pretty and full of fun activities as well as entertainment options. There are different kinds of entry tickets available for the fort. We chose the ticket that included a 7D show and a Sound and Light show as well. The ticket cost us INR 290 each. The fort also has golf cars for visitors to enter and exit, available just for INR 50 per person. Once in, we ate at the Brother's Dhaba which is really popular and came to realized the reason behind its demand. The food was heavenly and we enjoyed it a lot. No other place in Amritsar could match up the food we had at the Brother's Dhaba. Then it was time for the 7D show, we were not sure whether or not we will like it but as the show started, we were awed. It lasted for 30 minutes along with a complimentary movie for the kids. It's a must go for everyone. The show is a peek into the history of Punjab and especially Gobindgarh fort with all those effects that will keep you engaged. 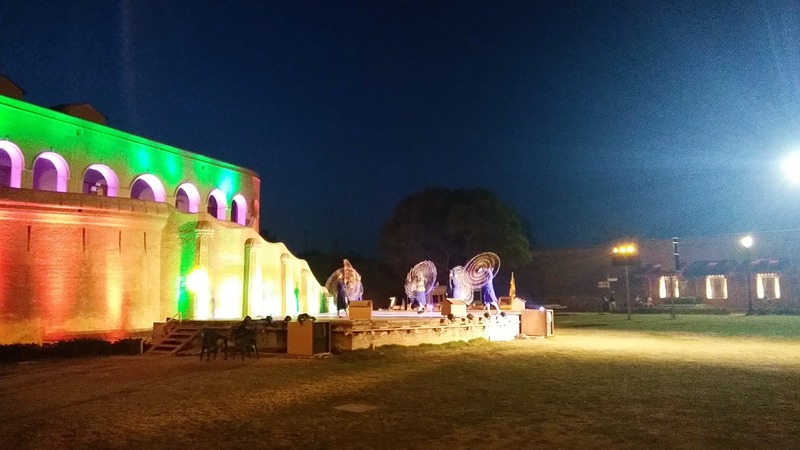 The Sound and Light Show too was reflective of the history of Punjab with 3D effects on the walls of the fort. The experience was worth and we were really happy that we chose the place for our free time. Take a cab to the Gobindgarh Fort as they will drop you right outside the Entry gate. Also, take the Golf Cart to enter the fort as it is quick and priced reasonably for pick and drop. The place is perfect and also suitable for the differently abled. The facilities for the elderly and differently abled are sure to impress you.